New Year’s Evil is a ho-hum horror movie with little horror and the kills pretty standard. Save for the finale, this is a bore of a film that might have a minor following but for myself, little about this was enjoyable outside of Kip Niven’s creepy but fun performance. The Blu-ray released by Shout Factory has good video/audio transfers while the bonus material is somewhat thin. Plot Synopsis: Diane “Blaze” Sullivan (ROZ KELLY), the host of a nationally televised punk-rock show on New Year’s Eve, is receiving calls from a mysterious killer (KIP NIVEN) who tells her of his plans to off someone at midnight in each of America’s major time zones… and she will be the last. 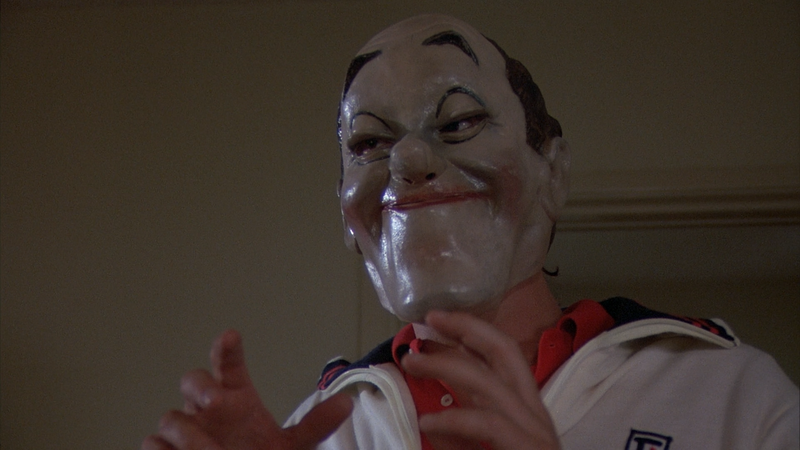 Quick Hit Review: Slasher flicks from the 1980s never were my thing outside of the occasional Friday the 13th or Halloween sequel, though even those were becoming a bore. 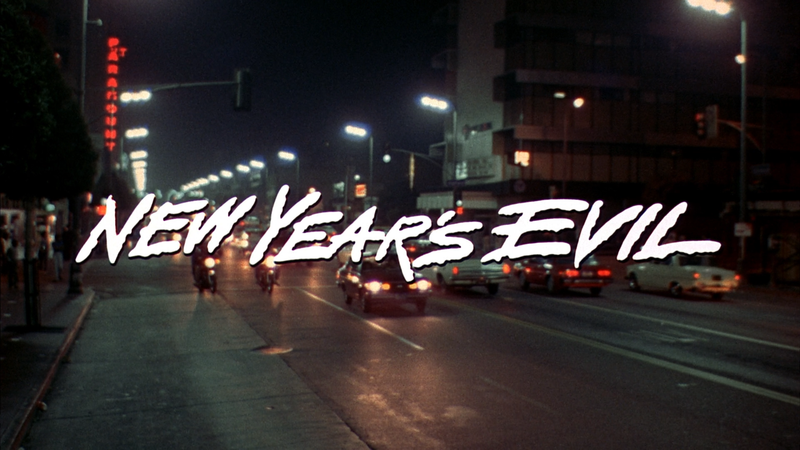 New Year’s Evil, released late in 1980, had an OK set-up with your usual paper-thin characters, paired with questionable performances, and a slow start-up. But unlike others, this one took its good old time trying to gather momentum but it never comes until probably the very end where I actually began to enjoy and appreciate some of the darker humor. The kills aren’t anything special or memorable, although the last involving Ms. Kelly was fairly inventive. If there was one big plus is it would be with Kip Niven playing the killer. He presented some great on-screen chemistry to the point even when his character puts on a fake mustache that would not fool anyone (albeit nobody in this film blinked twice). In any case, Niven, whose career has mainly been short films and one-off appearances on a variety of B-level television shows (like “Walker, Texas Ranger”), is a hoot in the role and one of the few saving graces. This release comes with a reversible cover artwork, the other side containing the original poster artwork. Audio Commentary – Writer/Director Emmett Alston, with Bill Olson from Shout Factory moderating, offers up a low key but informative track recounting stories on the set and how he became involved with the project. Call Me Evil: The Making of New Year’s Evil (7:16; HD) is a decent, if not a tad short, retrospective featurette with new interviews with director of photographer Thomas Ackerman and Actors Kip Niven, Grant Cramer and Taaffe O’Connell. 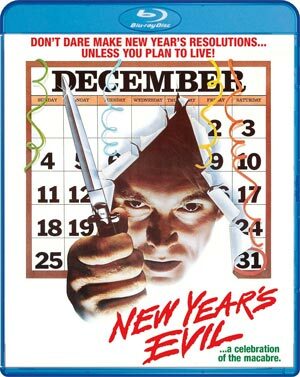 Shout Factory, visa vi their Scream Factory line, releases New Year’s Evil presented in its original 1.78 widescreen aspect ratio and a 1080p high-definition transfer. The picture shown is more than satisfactory with good detail levels, fine color discernment and a fairly clean transfer with the occasional vertical lines that crop up every so often; outside of that, I didn’t notice major instances of dust marks or scratches. The DTS-HD Master Audio Mono track is serviceable with clear dialogue levels throughout while the more action-oriented aspects, like gunfire are a bit flatter. Ambient noises are fairly discernible and the music/soundtrack comes through fairly well. 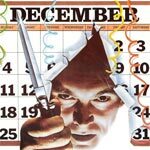 Overall, New Year’s Evil is a ho-hum horror movie with little horror and the kills pretty standard. Save for the finale, this is a bore of a film that might have a minor following but for myself, little about this was enjoyable outside of Kip Niven’s creepy but fun performance. The Blu-ray released by Shout Factory has good video/audio transfers while the bonus material is somewhat thin.